Personal Radio Services: What Is CB, FRS, GMRS, IPRS, & MURS? Highland Wireless: Providing In-Building Distributed Antenna Systems (DAS) > Blog > Blog > Personal Radio Services: What Is CB, FRS, GMRS, IPRS, & MURS? 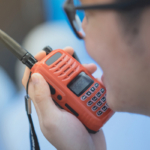 Personal Radio Services are low-power, short-range communication via two-way radio devices, and include CB, FRS, GMRS, IPRS, and MURS Services. These services may utilize both one and two-way radio transmissions that operate equipment by remote control and data transmission. For the most part personal radio services do not use transmission towers or other similar equipment to operate. Personal radio services that have very high frequency, and ultra high frequency radio spectrum experience far less static and other disturbances compared with basic walkie-talkies. There are many different types of personal radio services. 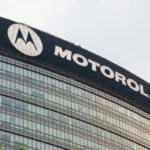 The most popular types include Citizens Band Radio Service (CB), General Mobile Radio Service (GMRS), Multi-Use Radio Service (MURS), Low-Power Radio Service (LPRS), and Family Radio Service (FRS). Here is a closer look at these types of personal radio services. The FRS allows for short-distance (usually under one-half mile) two-way communication. FRS units are very comparable to the look and functionality of a walkie-talkie. Unless you have a GMRS license you may only use FRS channels to communicate. Your unit label or operations manual should detail the service it is approved for. FRS-only units have antennas and give off lower power levels. 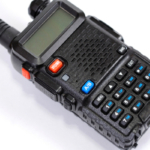 CB service offers private two-way radio communication for both business and personal use. You can’t communicate using this system to any stations located over 155.3 miles (or 250 km) in distance. There are maximum power levels authorized for use, these levels fluctuate depending if the transmitting station is operating on a single side band (SSB) or an AM signal. AM transmissions are only approved for up to 4 watts of power while the SSB transmissions are approved for up to 12 watts of Peak Envelope Power (PEP). In the United States all CBs must be certified with the FCC and the manufacturer must properly label units as such. No CB channel is assigned to one individual, meaning the 40 lines of communication are shared on a “take-turns” basis. In order to keep the system flowing no user can talk for 5 or more consecutive minutes at one time. Users must also wait one minute after ending a conversation before initiating another conversation. It is illegal to modify CB units internally through the attachment of a power amplifier or any other way of increasing power output. GMRS is a land-mobile radio service used for two-way communications over shorter distances. You need a license from the FCC to operate a GMRS system. The system includes station operators and a mobile station with one or more mobile units. One or more land stations may also be included; land stations may operate as repeaters that extend range capabilities. GMRS units often include detachable antennas and transmit at higher powers. LPRS offers a one-way, private form of communication that operates across short distances. 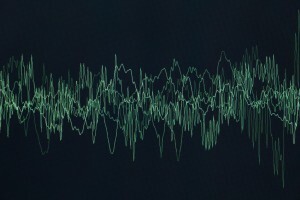 It allows stations to transmit voice data or signals for auditory assistance serving people with certain disabilities. It is very common for law enforcement and health-care professionals to use LPRS to communicate. LPRS is also used for network control communications in the Automated Marine Telecommunications System (AMTS). MURS is a two-way short-distance private form of radio communication capable of transmitting voice or data. It is used for both personal and business operations. This service includes 5 channels; all of which are Very High Frequency (VHF). There are rules and regulations regarding the use of these 5 channels in order to reduce interference when using the lines. All users are given the same rules and priorities when using MURS. It is illegal to operate a MURS station as a repeater station; this includes store-and-forward packet radio operation as well as a signal booster. The maximum output power you can legally use for a MURS unit is 2 watts. The unit’s antenna size, as well as local terrain and weather will impact transmission range for two-way radios. The licensing laws regarding Personal Radio Services are instituted for a reason and must be followed. If you use a radio for unauthorized purposes or do not secure the correct licensing you are subject to fines and possibly even imprisonment. All of your equipment may also be confiscated. If you need to contact the FCC regarding licensing or any other related matters you may contact them by phone at 1-888-CALL-FCC (1-888-225-5322); TTY: 1-888-TELL-FCC (1-888-835-5322). 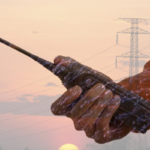 For the best deals on two-way radios and related services contact Highland Wireless today!